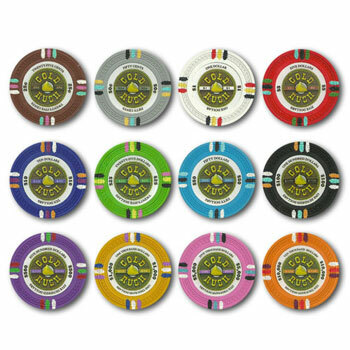 Bring the excitement of Vegas into your home with this high quality poker chip set. 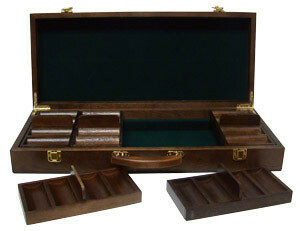 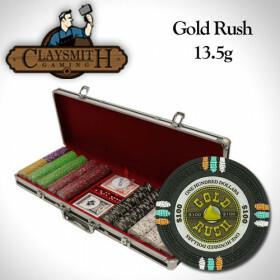 You get 500 Gold Rush clay composite poker chips in a walnut storage case that includes removable chip trays. 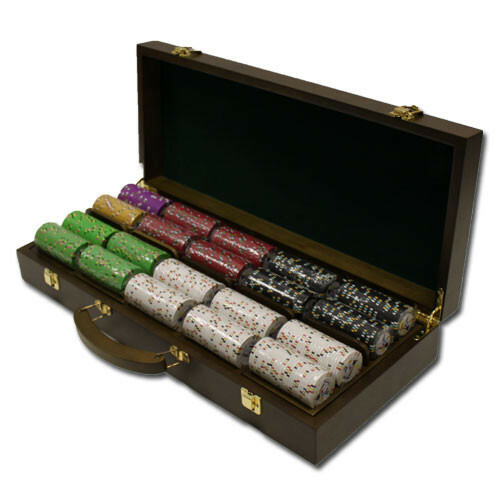 You'll have the best game in town! 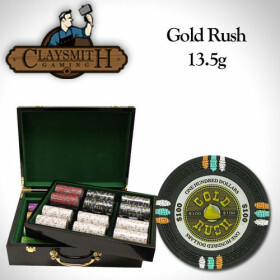 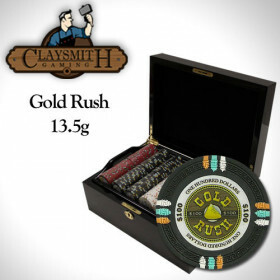 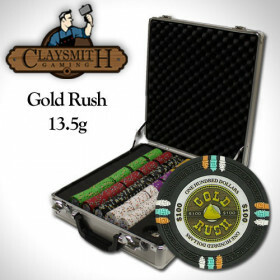 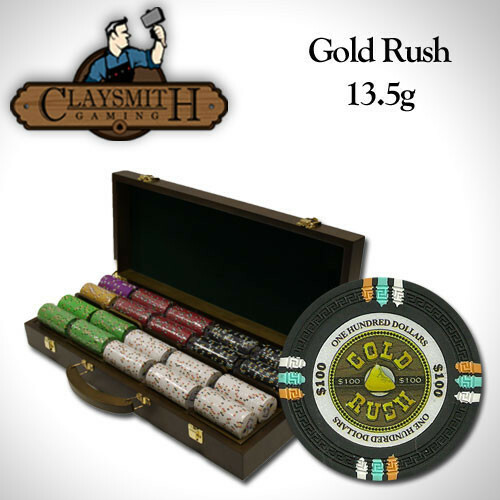 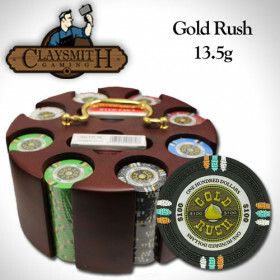 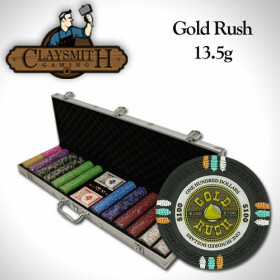 500 Claysmith Gold Rush clay composite poker chips. 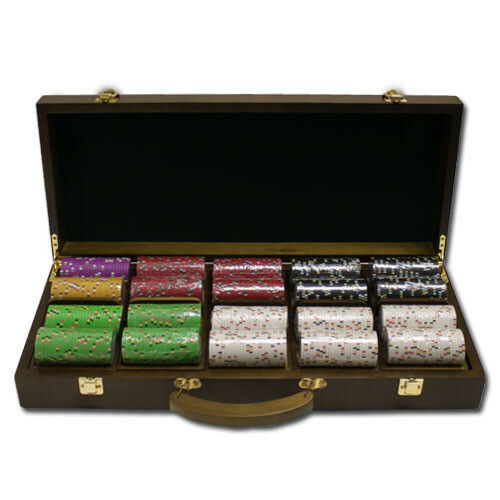 We'll also include 2 decks of playing cards and a free dealer button.